The rally in the stock market has been truly incredible. Records are shattered almost every day and 401(k) balances have swelled. 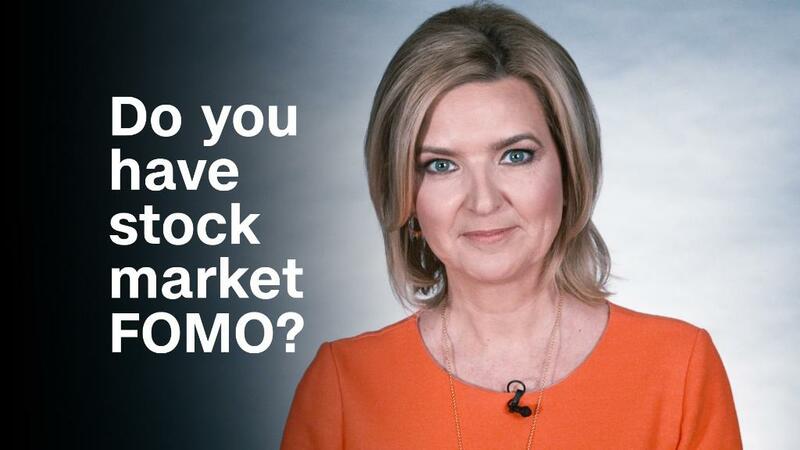 It's no surprise so many investors are suffering from stock market FOMO -- fear of missing out. Hopefully, you've been investing along the way. But before you put every last penny in the stock market, consider this: Trying to pick highs and lows -- market timing, as it's known -- is best left to the professionals. For the rest of us, some simple rules can take the anxiety out of the decision-making. First, know your risk. The younger you are, the more of your retirement portfolio should be in stocks. From 25 to 35 years old, you can load up on stocks. You can afford to have a very high risk tolerance in this age group. By 55, it's a different story. You should lighten up on the stocks, and have a blend of stocks, bonds, cash, real estate and alternative investments. This is called asset allocation, and it will change over time, from risky in the early years of your career to conservative as you near retirement age. Once you've settled on your asset allocation, make sure to rebalance that portfolio periodically. Especially when stocks are red hot, your allocation can get out of whack and you could end up being too heavy on stocks. Trim here and add there to keep the portfolio appropriate for your age and risk. In many 401(k) plans, you can set this to be automatic, rebalancing quarterly or annually. Speaking of automatic, the best way to ride markets up (and down) is to buy stocks at regular intervals whether they are rising or falling. Dollar-cost averaging smooths out the risk over time. Remember that diversification is a long game. When certain investments -- like stocks -- are rising rapidly, resist the urge to simply jump on the bandwagon, says certified financial planner Doug Flynn of Flynn-Zito Capital Management. Consider your overall asset allocation. "Look to the sectors which have not participated as much of late. Over time, performance comes from not only riding the winners -- but adding a bit to the losers," Flynn says. "Not everything goes up forever and having some investments a little out of favor now can help smooth out the ride when what goes up eventually comes down." Related: The stock market is on fire. What could possibly go wrong? Intimidated by the stock market? Consider legendary investor Warren Buffett's advice: buy a low-cost index fund tracking the S&P 500. Ignore peaks and valleys and business headlines and consistently add to your stocks until you near retirement. If you are intent on buying and selling individual stocks, make sure you're playing with money you can afford to lose. The biggest debate in money today is whether the stock market is unstoppable or a bubble ready to pop. Unstoppable or frothy? If your asset allocation is in line with your risk tolerance and you are consistently rebalancing, then it's beside the point.